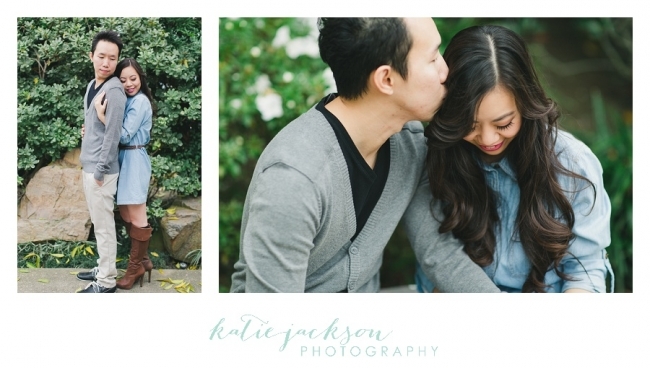 Gina + Leo // Engaged! Gina chose the coffee shop at which we first met. It was in Downtown Los Angeles in the Arts District (Urth Caffe to be exact– you should definitely try it out!). I instantly knew just based on her coffee house choice that I would adore them both. 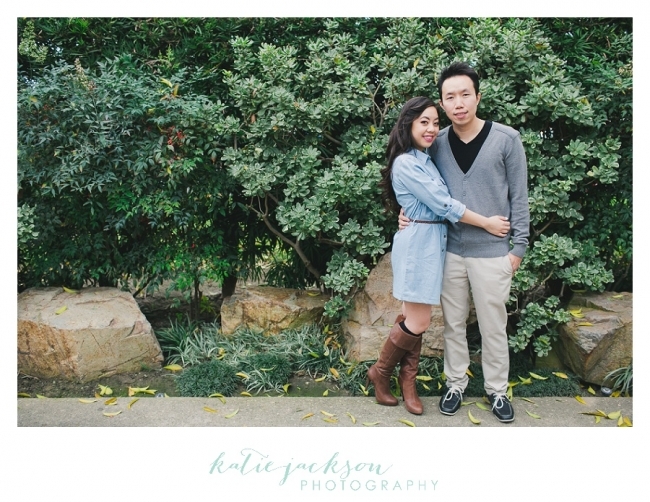 They are a bubbly and sweet couple and I was so happy to meet them at the Earl Burns Miller Japanese Garden at Cal State Long Beach for their engagement pictures. The Japanese garden is actually one of the places they looked at for their wedding, which isn’t a surprise since it is so beautiful there! Then we chased the sun to the Long Beach marina where we got some pretty awesome shots near the water. A cloudy day can sometimes mean a GORGEOUS sunset. Today was one of those gorgeous sunsets! Congratulations Gina and Leo! I can’t wait for your wedding in July! !